It's time again for Window Shopping Wednesday, a new feature on Pretty Distressed designed to help you shop from the comfort of your computer chair. No showering or makeup required. 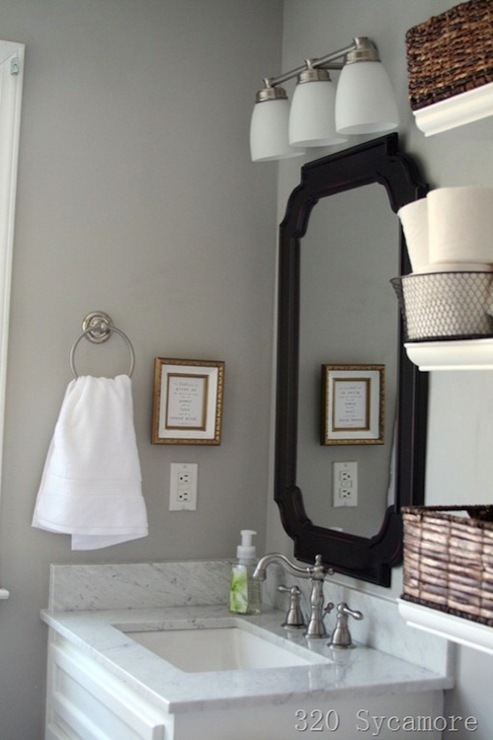 This week I am taking a look at bathroom vanity light fixtures. Light fixtures can be a big investment, but in the grand scheme of remodeling costs, you can get a lot of bang for your buck by replacing a dated fixture. And in most cases, they are pretty easy to install as long as you follow the safety instructions included with your purchase. Look at the difference in my own master bath once I updated my $35 builder grade light with the Argenta 5 Light Vanity Light from Z-Lite. This modern-farmhouse bathroom is all over Pinterest, and it is easy to see why. 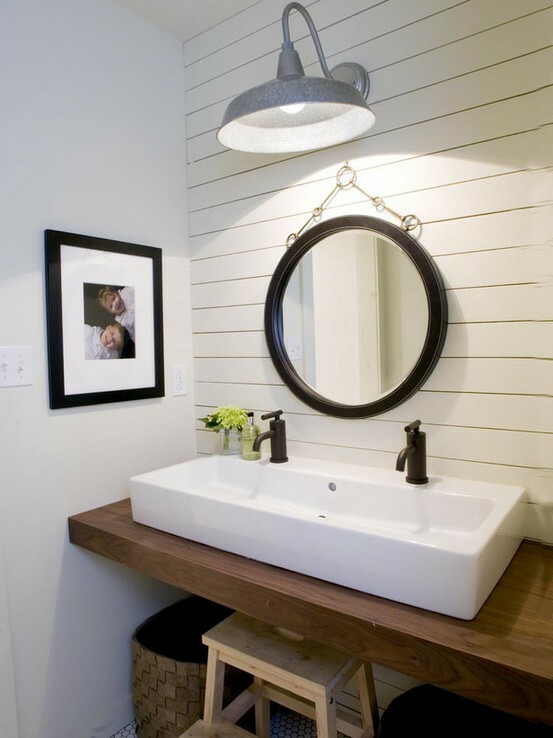 I am in love with the use of this barn light over a vanity from Decor Pad. It is a really unique look. Let's move onto our next fixture from Melissa at 320 Sycamore. Here is an example of a clean, modern fixture. It looks really classy and not too flashy. My last inspiration is bringing fancy back. 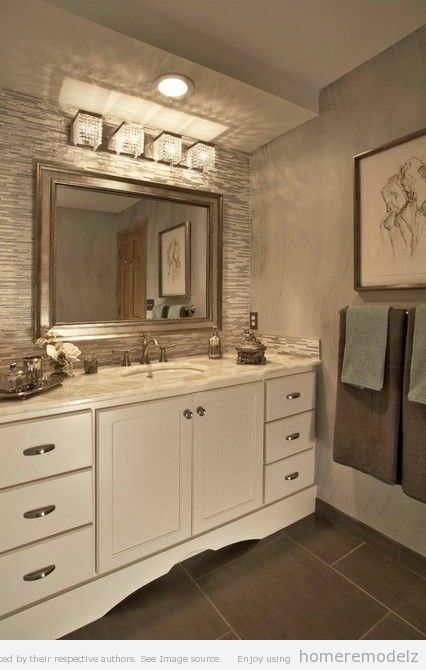 I love the romantic elegance of this fixture from Accent Surfaces. Happy window shopping! Come back on Friday when I will be featuring a post about my local Annie Sloan stockist, Carter's Cottage, in Dekalb, Illinois. I had quite a magical visit there last week and can't wait to tell you all about it.